The PM727M is a great compromise for those of us who just don't have the space for a 45 series mill but want something bigger and heavier than a G0704. Travels of 10" Y axis and 18" X axis make the PM727M a more than capable machine. 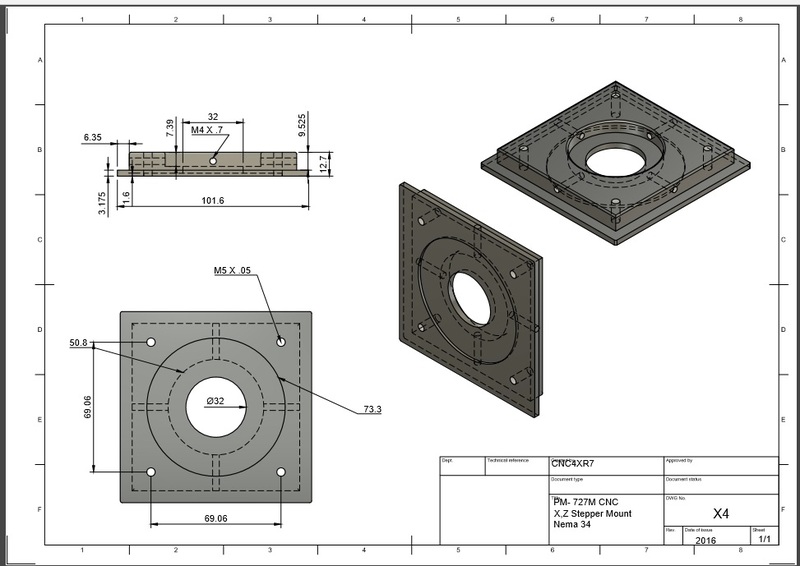 With the CNC Conversion phase completed I have had some time to compile all the Fusion 360 Models, Drawings, and Wiring diagrams. The PM727M CNC plans will work on the PM727V Variable speed mill as well.